A Single IVA (Individual Voluntary Arrangement) is an IVA application where all of the debts only exist in one name. It doesn't matter if you are married, divorced, or single. In this case, the husband/wife/partner without the debts is not obliged to make any payments toward the IVA. 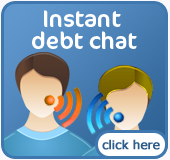 Debts that are owed jointly with another person can also be included in a Single IVA. 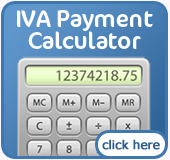 IVAs use government legislation to help you repay some of your debts at a rate that is manageable for you. In nearly all IVA cases, a large portion of the debt is written off. In order to qualify for a Single IVA, you will need to meet the right criteria. This means that you will need to have debts over £15,000 and with more than two creditors. You are also generally required to offer at least £200 to your creditors each month although the actual amount could vary greatly. Note: In certain cases, your husband/wife/partner may want to contribute towards the IVA to improve the chances of your creditors accepting the IVA proposal. This is known as an Assisted IVA.